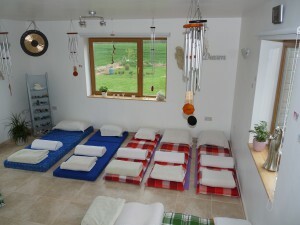 Enjoy one hour of Meditation / Sound Healing Therapy in a group for only 10 euros per person. Have a look here for my treatment list for treatments and prices. Lift up your vibration and feel in balance. If you are in balance, you will feel happy and healthy. You can join a small group (up to 8 participants) for a combination of guided meditation and sound healing therapy. Thursday mornings from 9:50 am to 11:00 am. 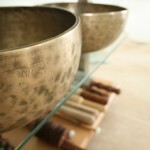 Each meditation / sound healing session is only 10.00 Euros per person in a group. One on one meditations are also available for 59 euros. I would be very happy to have you please ring or text for reservations. You will get very comfortable in my meditation/sound therapy/ healing room. Everything is provided and all you need to bring is you. Imagine: you are covered in soft blankets, lying down on a comfy thick mat with a nice cushion, listening to a few minutes of guided meditation and a divinely guided sound bath. You are letting go of stress, worries, fears and all burdens and in return you are feeling balanced, calm and relaxed and full of good energy. When you go home, you are ‘ready’ for a new week. Thank you very much and I am looking forward to seeing you soon. Meditation is one way to get in touch with your inner wisdom and inner guide. Prayer is us talking to God or the universe, where meditation is us listening. There are many forms of meditation and I will use a guided meditation to take you on a journey. While you meditate, you are sitting or lying in a very relaxed position and my voice gently brings you into a safe and beautiful space. There you will get in touch with your inner wisdom, very gently and easily. If you have any questions that are on your mind, then this is the place to get the answer. Your inner wisdom knows the solution. All of us are connected to the source of all answers and to peace within us. All you need to do is go there. Even if you fall asleep your subconscious will take you wherever you need to go to be safe and calm. 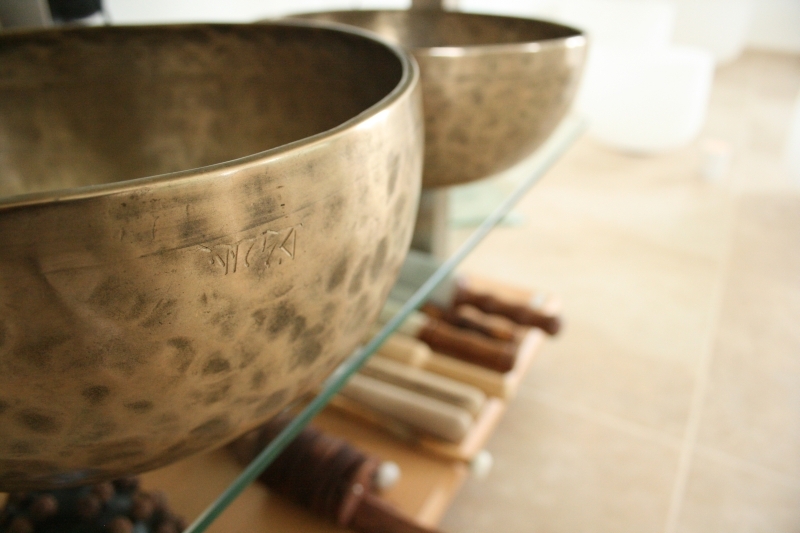 What is Sound Therapy (Sound Bath) and what does it do for you? Sound therapy is based on the vibration of sound. Since everything is vibrating in the universe (although it may not always be visible to the eye), sound has an effect on the human body and all living beings. Our thoughts, feelings, emotions and experiences make us who we are and how we feel. When listening to music it often triggers an emotion, a feeling of wanting to dance, jump, laugh, sleep and even cry. Sometimes it makes you feel great other times it might scare you (e.g. music used in films), and there are times it does not effect you at all. The same goes for words. Words are sound. We can’t touch them, but the effect they can have is enormous. The cells in the body always listen and every cell reacts to what eyes see, ears hear and what a person feels. A happy mind lives in a healthy body. A sign that the inner sound is out of tune is if a person is stressed, unhappy, is not satisfied with what is happening in their life or feels out of balance and unwell. Sound therapy assists in a very gentle and harmonising way to unblock the invisible obstacles, like stagnated energy in the different areas (energy centres, called chakras) of the body. When the energy flow is good, you are happy and healthy. Through Sound Therapy (Sound Bath) every single cell gets new life affirming and positive information. My tools are Crystal Singing Bowls made out of clear Quartz Crystals (the Master Healer of the crystal family), Tibetan Singing Bowls, Chimes and Gongs. Using this mix of instruments has proven that the effects are very positive. The gongs take away the heaviness and make way for the lightness of the chimes and the singing bowls create harmony, joy and realign the energy and rebalance. All the instruments, especially the Crystal and Tibetan singing bowls, are very tuned in to each person and know what vibrations are needed to harmonise and balance the bodies’ energy fields. It is amazing how different they sound when treating different people.